I had quite a productive day in the sewing room yesterday. It felt good. First, I got the center of my QOV pieced and auditioned borders. 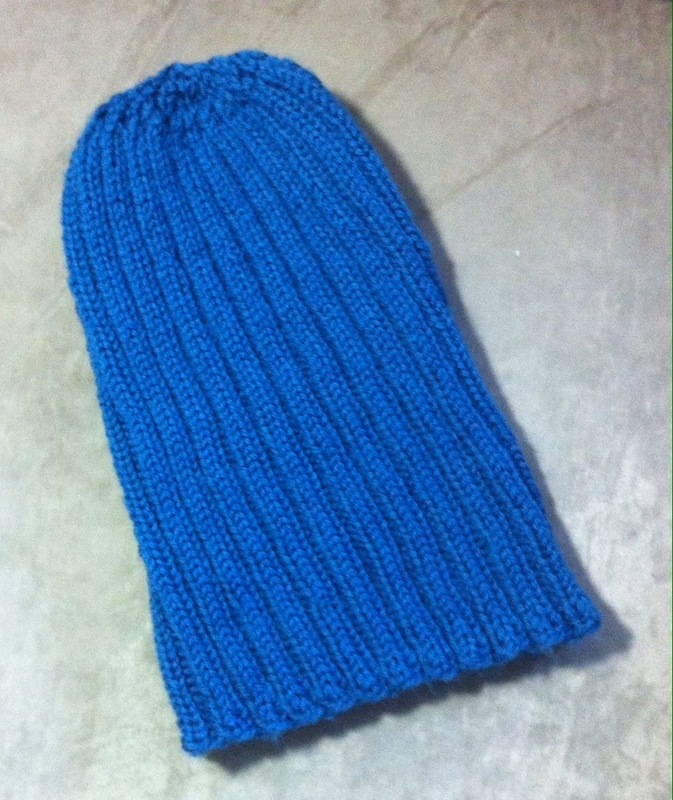 Before church, I finished my hat for a USNavy sailor. 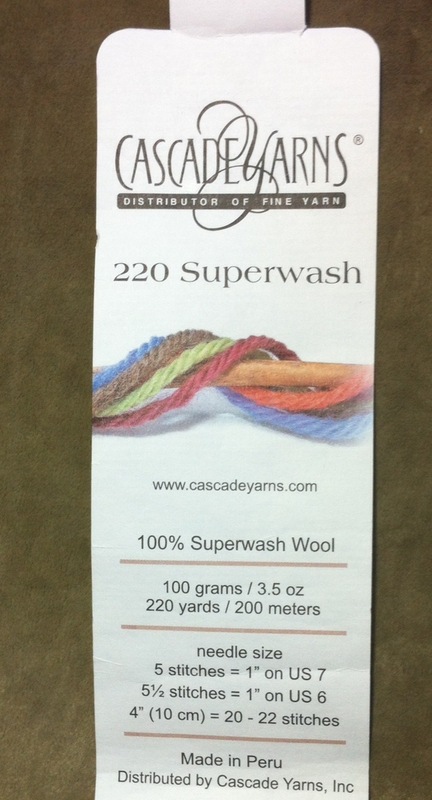 It was very generously given to me by Aunt Marti of 52 Quilts fame. If you have never visited her blog, you are in for a treat! My hat is packaged and ready to mail off today. 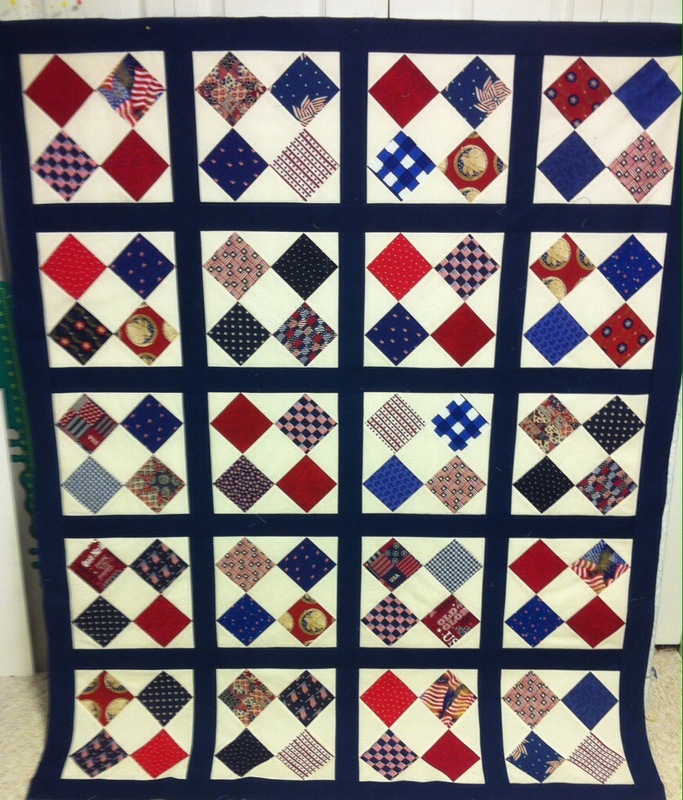 I also got my little “Faithful” quilt from the Humble Quilts QAL finished. 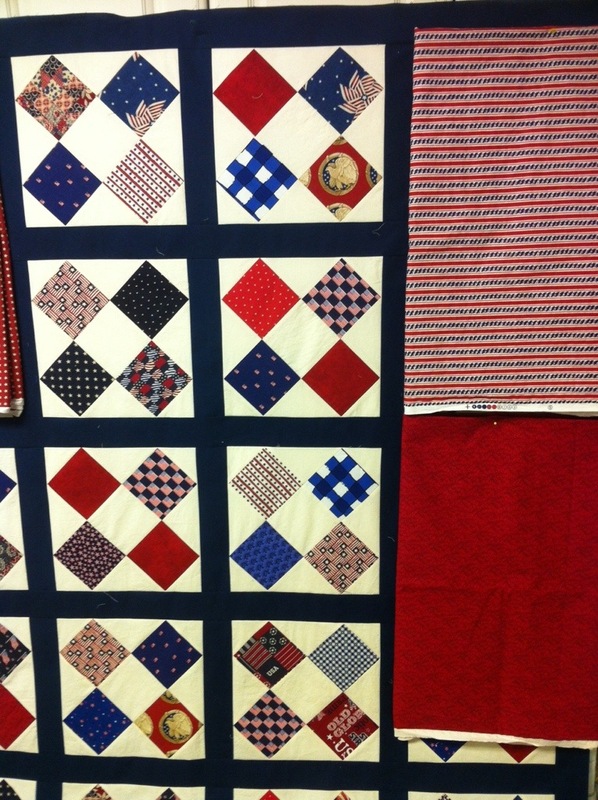 As you can see from the photo of the back, it is very simply quilted. Nothing fancy to compete with the piecing. I labeled the two QOVs that I need to ship this week while watching a movie with my hubby. As soon as I get the presentation cases made, they will be ready to go. And just for fun, our church has been having silly dress up days. Today was Dress up Like a Rock Star day. 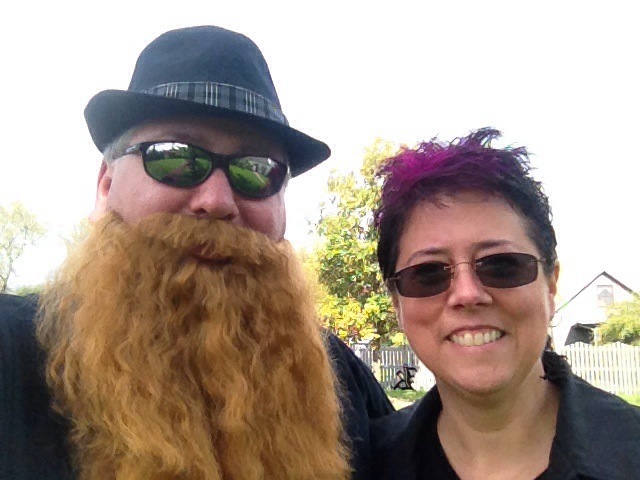 Here is a pic of hubby and me. He makes a great ZZ Topp, no? 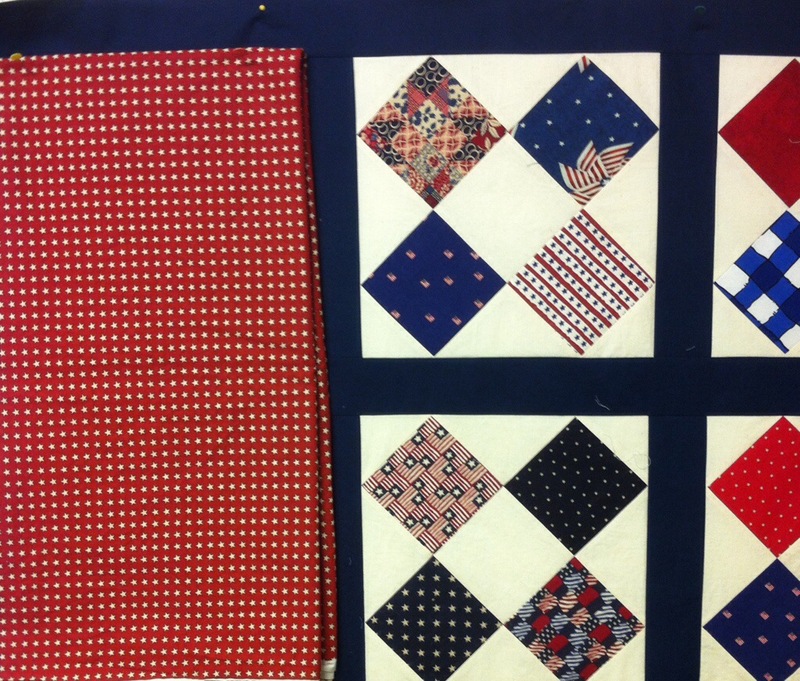 This entry was posted in Civil War Repro Quilts, Design Wall Monday, Doll Quilts, Knitting, Quilt of Valor. Bookmark the permalink. 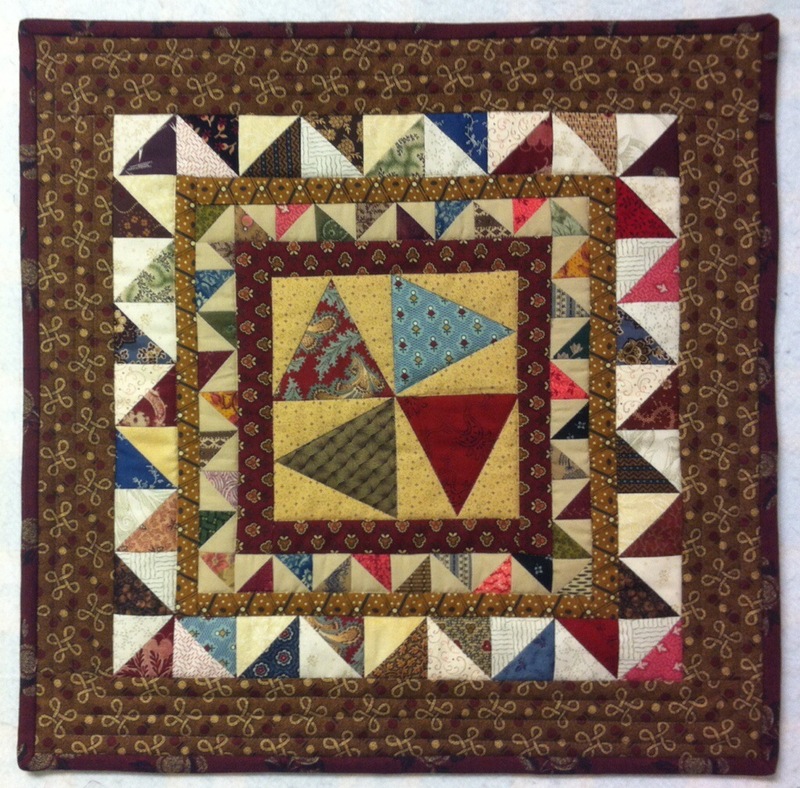 i like the way that you have used a limited background (lighter part of the half square triangle blocks) palette in your ‘faithful’ quilt. it turned out wonderfully and the back is a perfect choice for the season. Your Faithful block looks fantastic! Don’t you love the variety?? I love your faithful mini quilt! The center block is really great and I love the way the hst dance around the center. The QOV is wonderful and whoever receives it will be blessed by it, I’m sure. You two look cute as rockstars. The Faithful quilt is great, because the design is unexpected and you used wonderful colors in it. I like the QOV, too. 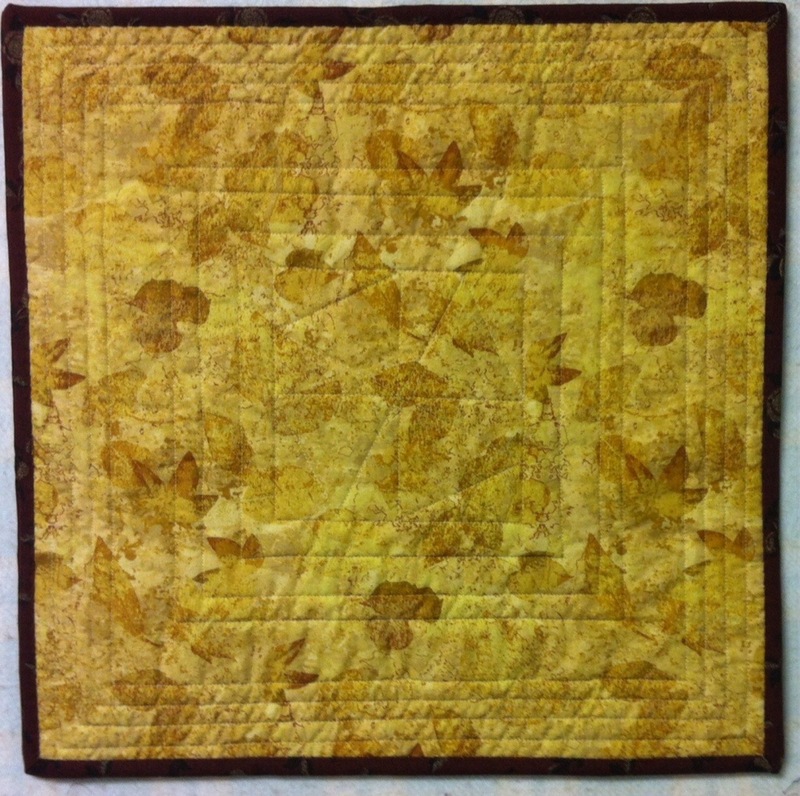 Love Faithful–I’m going to copy your quilting. Can’t wait to see which border you choose. 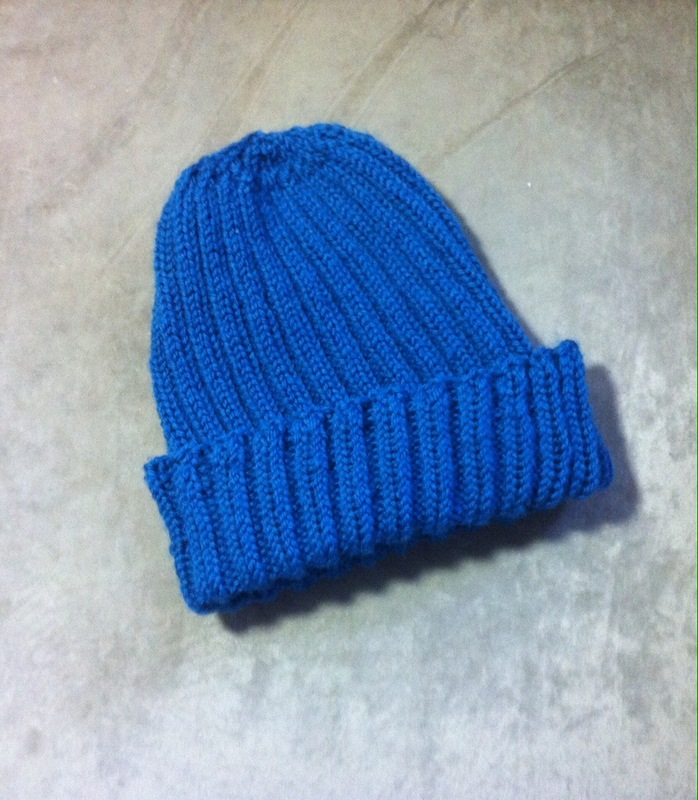 Nice finish on the hat Miss SpeedKnitter! 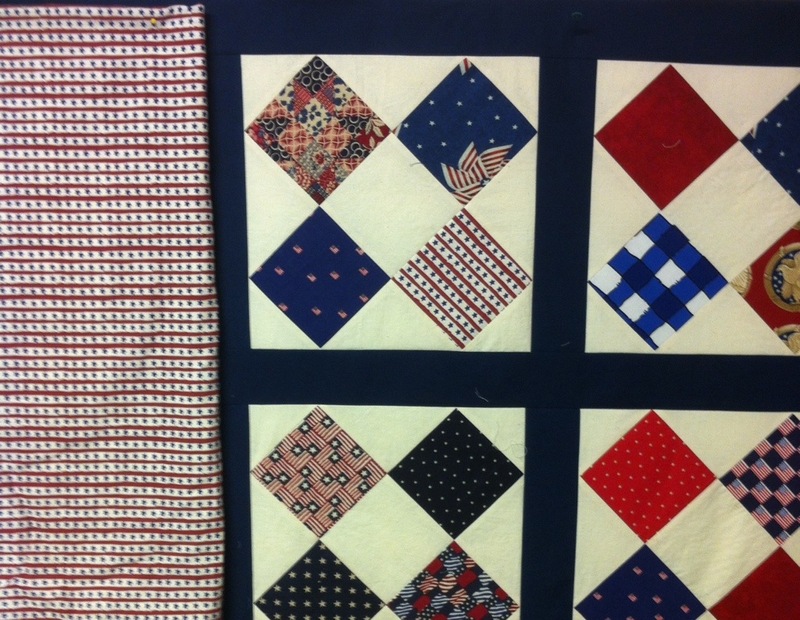 What a simple yet striking QOV quilt. I like the red with stars also. Although the stripe kind of talks to me too. The little quilt is darling. I had to really look at the pinwheel to figure out why it didn’t look quite “right” to me. Clever to use that particular block as a pinwheel. Great job. Don’t you love auditioning borders? I put them up, take them down, and put them up again before deciding (unless it was the focus fabric to begin with). And you and hubby look great. What a fun church you must go to. You look great! And if you’re looking for votes on the border, I choose the red with white stars. The Faithful mini is beautiful. Enjoy!